BYMT is an independent charity and we need your help to enable us to nurture the musicians of tomorrow. Do you run a local business? Do you work for a charity-conscious employer? Do you know a philanthropist? 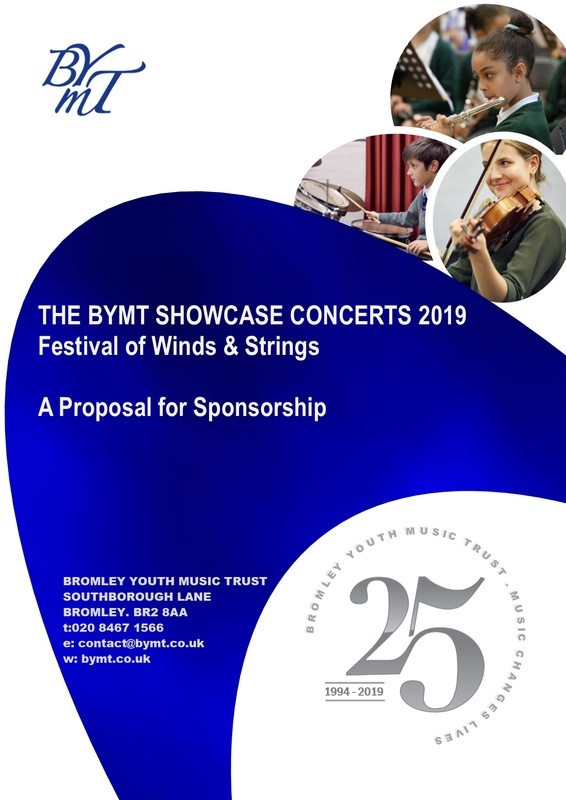 Sponsorship of our ensembles, groups and concerts is one way we raise funds and an opportunity to sponsor our prestigious BYMT Showcase Concerts is now available. Sponsorship offers significant benefits and could deliver high brand exposure, with the Showcase Concerts expected to reach 1,800 members of the community, including parents, head teachers, school governors, local councillors, MPs and other local businesses. It is a great way to demonstrate a commitment to your local community and the young people of Bromley, enhancing your reputation with your clients, business partners, staff and the wider community.